A refreshing side dish, you can make it more Greek-style by adding pitted Kalamata olives and diced cucumber. 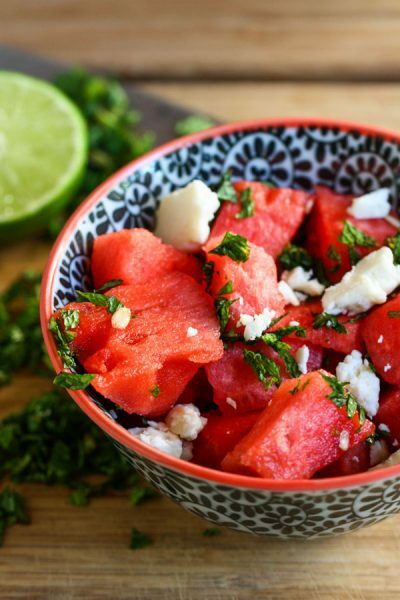 Combine watermelon, feta cheese, red onion and mint in a large bowl. Pour the lime juice and olive oil over the watermelon mixture, and toss gently to coat.